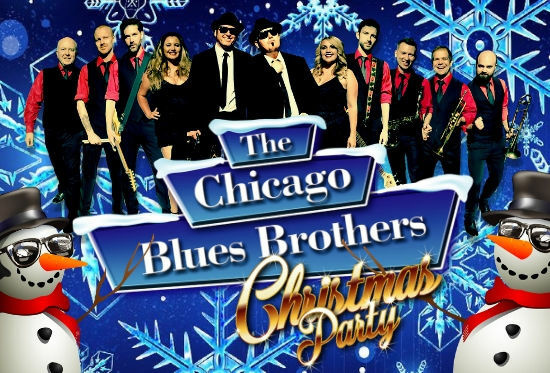 The award winning Chicago Blues Brothers are having a HUGE Christmas party this year.... and you’re invited. The Chicago Blues Brothers are on a mission to make your Christmas start on a festive roller-coaster that will have you clapping until your hands hurt, singing until your voice is hoarse and dancing until your feet ache with an on-stage party you can’t afford to miss.Direct from debuting in the West End and performances all over the world, the Chicago Blues Brothers are finishing 2019 with a BANG. Infectious, dazzling, riotous, exuberant and spirited, the legacy of Jake and Elwood has been jump-started for a new generation with an energy that’s impossible to resist. So remember... it’s a 106 miles to the North pole. 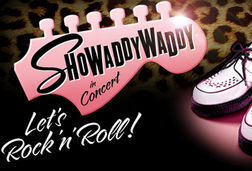 We have a show full of hits, half a pack of party poppers , it's snowing and we’re wearing santa hats........HIT IT.